Welcome to Animal Jam – Play Wild!, where you will become your favorite animal, create a style to express the real you, and explore the beautiful 3D world of Jamaa! Animal Jam is the best online community for kids and a safe place to meet and chat with new friends — plus decorate your own den, play fun animal games, adopt awesome pets, and learn about the natural world from videos, animal facts, and downloadable e-books! - The Animal Jam - Play Wild! game is free to play with parental permission. - Parents can control players’ access to social features through their Parent Dashboard. Animal Jam - Play Wild! offers optional in-app purchases that cost real money. You can disable the in-app purchasing functionality by adjusting your device settings. 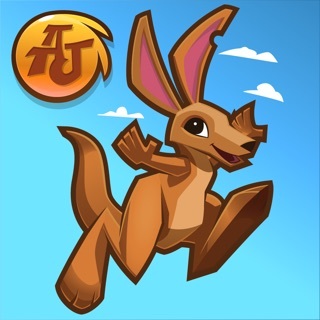 This app also offers Animal Jam recurring membership subscription options that cost real money. Most in-app features do not require this paid membership. However, in addition to exclusive member features in the app, paid subscription also includes membership in the AnimalJam.com web game. If you choose to purchase a membership, your iTunes account will be charged when you confirm the purchase. 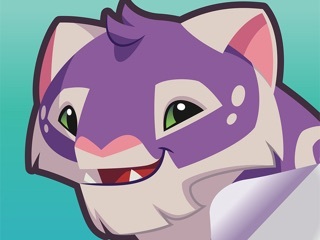 Your Animal Jam subscription automatically renews unless auto-renew is turned off at least 24 hours before the end of your current membership period. Your iTunes Account will be charged for renewal within 24-hours prior to the end of the current subscription period. You can manage your subscriptions and turn off auto-renewal by going to your iTunes Account Settings any time after purchase. No refunds or credits are given for any unused periods, and your subscription will remain active through the end of that month. ABOUT ANIMAL JAM - PLAY WILD! WildWorks has partnered with prominent scientists and educators to bring science education and spectacular imagery of the natural world to kids in a completely new way. Our goal is to provide a fun, exciting, and safe place for kids to play online. Animal Jam also inspires kids to explore and protect the natural world outside their doors. At WildWorks, your child’s safety is our priority. The Animal Jam - Play Wild! app protects your child’s private information with secure log in, filtered and monitored chat, live moderation, and the ability to block and report players instantly. To learn more about how we protect children’s privacy, visit http://www.animaljam.com/privacy. Children should always ask their parent or guardian for permission before they download and play. This app requires an Internet connection, and data fees may apply if WiFi isn’t connected. • Become a SKUNK, Jamaa's newest animal! • Search for fireflies in this month's PACK RUN: Firefly Frenzy! • Adopt your very own PET BABY CHICK! • Host a dinner party in the BLOOMING BEASTRO, the fun new den! • Pick up two incredible new SAPPHIRE BUNDLES! • And don't forget to check out all the cool new ITEMS and ACCESSORIES! Love it but needs more! Ok so to start, I love this game it is amazing but it needs more to it like for instance how about letting you say anything you want to say on the texting, letters, etc. Also, if you'd please let us say things like I love you or stuff like that because what if it is your mom, dad, sister, brother, boyfriend, girlfriend. You know stuff like that. It would be really cool if you could let us trade pets and animals! And maybe make more parties and a bigger amount of buddies to add, because when I sometimes try to add a buddy their list is full already! Maybe you could please make things less expensive. No more sapphire things on getting animals, pets, etc. Also how do you even earn sapphires!!! I barely have any only three!!! I need more! And can you let us get the phantom portals and sets without sapphires, please!!!! It is so hard to do things on this game without any sapphires or not being allowed to use money to get sapphires or join a pack!!! Ugh! So hard!!! Please please please!!! Animal Jam is seriously the best game in the world but it doesn’t anything that I want just a bunch of stuff that I can’t do! Also one more thing stop correcting our words and changing them and also stop doing the bubble thing that says don’t say this it might get some one in trouble or make them feel bad or weird!!! Please please please! Let this be on Animal Jam it’s the best game in the world I love it but it needs more!!! Thank you!!! I love love love animal jam! One of the best games ever! But, I think it would make the game cooler if you made it so we could pay other jammers, or so we could lone them money, and they would have to pay us back. It would show a little sign or something in the corner that says; "you owe so and so 1234 gems" just an example! I would also love it if you maybe added flying animals and underwater animals? That’d be great! But, I think that jammers without many sapphires are missing out on a lot, so can you just this one time add an animal into the game that doesn’t cost sapphires? Oh, and for the underwater animals, could you possibly add a new underwater area? Thanks so much is you do! It would also be nice if you made an update where a little message popped up saying “you have been reported” when someone reports you, but don’t mention the name of the person who reported them, or the person that was reported will report them. Oh, and one more thing! I would really love it if we could have unlimited buddies! I can’t make a new buddy without deleting one 🙁 Actually, this is the last thing I’m gonna say lol. Someone threatened to report my sister for not giving him sea star glasses, I came and said she wants him to stop threatening her. He reported both of us and locked us out. Can you make it so you can only report someone if they say something mean? Thanks so much for reading this!